Catch the Florida heat with Miami Blast Cartridges by Mig Vapor. A sweet blend of mango and strawberry, a menthol kick on the exhale will tingle your taste buds. 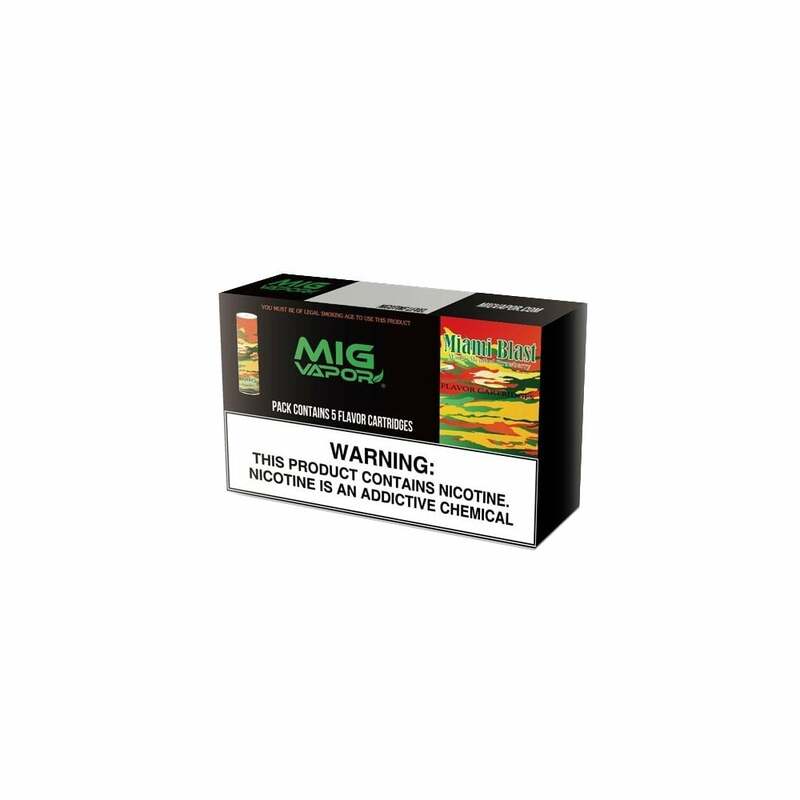 Mig Vapor cartridges are compatible with the Mig Vapor Battery as well as V2 batteries or any KR808D1 Threaded Electronic Cigarette. Miami Blast Cartridges by Mig Vapor come in a pack of 5 and are available in 50mg (5.0% nicotine), 24mg (2.4% nicotine), 18mg (1.8% nicotine), 12mg (1.2% nicotine), 6mg (0.6% nicotine), and 0mg (nicotine free).